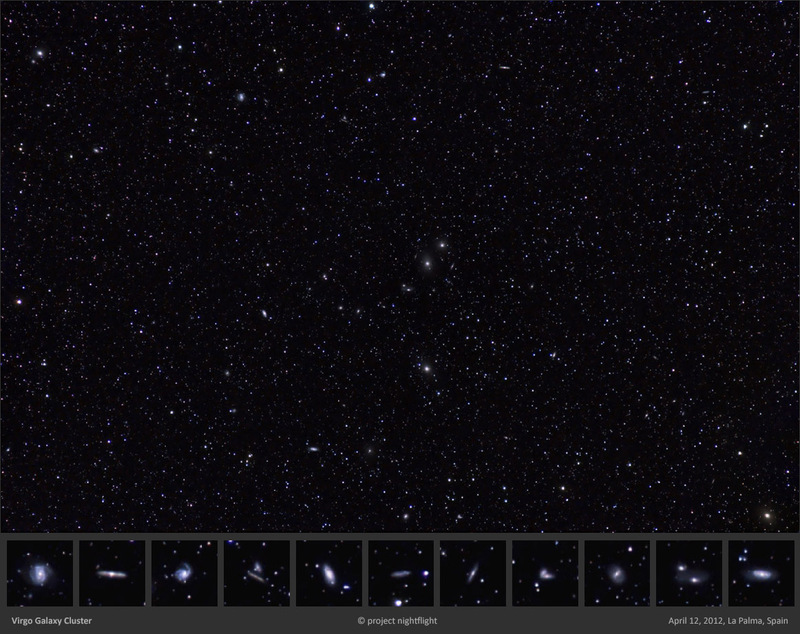 A wide field shot of the Virgo Galaxy Cluster, showing a zoo of galaxies. This image was used to generate a finder chart for visual deep sky observers. The limiting magnitude of the finder chart is around 16mag, galaxies down to a visual magnitude of 13mag are labeled. The chart can be downloaded here.